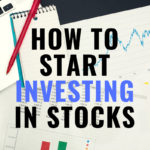 So you have some capital of available and you are looking to begin investing on your own. Which strategy would strategy to choose out of the myriad of available investment strategies? I personally believe that a dividend investing strategy is one of the best approaches that an investor can choose. A dividend investing strategy is one that complements value investors well. It all begins by identifying companies that are adequately valued and also pay a good dividend. By investing in the most iconic brands the world over and maintaining those positions on a Dividend Reinvestment Plan (DRIP), you are building your way to wealth and the ultimate goal: Financial Freedom through passive income. As a investor keen on deploying capital into companies that are well-valued, my temperament is geared towards an ownership mentality in those companies I choose to invest in. 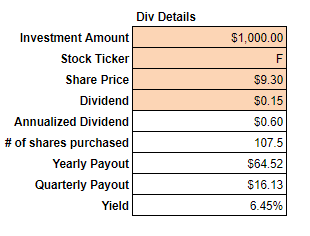 I currently have a dividend portfolio in which I am working my way towards $50,000 in annual dividend income per year. I am inclined to a ‘Buy-and-Hold forever’ strategy as opposed to someone out to day trade towards millions. Each stock that I own is not just a byte or bit to trade in the short-term, but proof that I have a valid ownership stake in the company and its ongoing operations. If the company succeeds, I succeed. If the company grows its operations, then I grow along with it via stock appreciation and dividend increases. It is my sincere hope that I will never have to sell a position in my portfolio. The dividend investing strategy is based around the idea of buying and holding solid companies that continue to pay good dividends. Now, will it ring true that I will never have to sell a stock due to dividend decreases or poor performance? I am not naive enough to believe so. Just like any other investor, some of my stocks will perform well, some will perform poorly, but so long as my due diligence happens to remain on point, the positions that outperform will outweigh the positions that do not. The point is: I choose to be an owner in the companies in which I deploy my hard-earned capital. Each time I buy a product that company makes or see someone else purchasing a name brand, I smile to myself as I am getting paid. This type of thinking helps me to better stay emotionally detached in the upcoming large market swings. And keep in mind I say ‘upcoming’ on purpose. There is only one main truth in the world of investing: the markets will go up, and the market will go down. One constant holds true no matter what your investing strategy: Mr. Market is erratic. 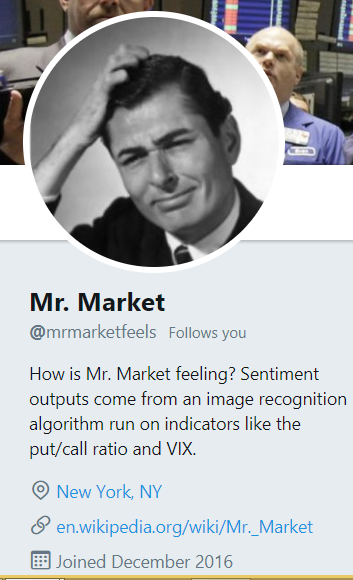 Mr. Market, the endearing term for the often times crazy market swings, is certainly a character. He sometimes is so happy that he buys every stock available, no matter what the value or price. And there are other times where he thinks the world will end tomorrow, so he sells out of nearly all of his positions as quickly as possible, even though it means selling out his ownership stake in some of the most valuable companies in the world. Being that Mr. Market can be so erratic, I have found that measuring my own personal performance by the absolute metric of gain or loss is a losing proposition. Why? Take this example: I have a great entry buy on a stock, but the market, overvaluing the gloom and doom scenario, sends this perfectly good company’s stock price spiraling downward. I now have a “loss”. When Mr. Market gives us an opportunity, we must take advantage. Enter the concept of valuing stocks based on dividends. Dividends Are Stable, Percentages are Not. As a long-term value investor, I choose not to measure my success by a percentage gain or loss on an investment. To do so is to directly oppose the mentality of ownership after which we seek. Remember, we want to view each share of stock as we own as absolute ownership in each company we invest. Buffett is fond of saying that as investors, we should be comfortable owning a stock should the markets be shut down tomorrow with no set date for reopening. Is this how you view stock ownership? Now, just to be clear, we do want capital appreciation on our positions. These type of gains shows that the companies we are investing in are growing, specifically in the eyes of the general market. However, to view a percentage gain as the only valuable metric after which we seek plays directly into the idea of ‘herd mentality’ investing. As diligent investors, this is the type of group-think of which we need to divorce ourselves. Choose to think different than the herd. What exactly is herd mentality investing? Buying because everyone else is buying or selling because it is what the market is doing. In other words, “Following the Herd”. This is an unwise way to invest, especially if we are value investors. Instead, our goal is to invest against the general sentiment. We want to buy when others are selling and sell when others are buying. To do so, we need to remain disciplined and unemotional in the face of large market swings. This mindset is easier said than done. I will be one of the first to admit that I like seeing when my stocks are in the green (gains) and hate to see stocks in the red (losses). Though this is certainly my gut instinct, I must be conscious of its fallacy: it views stocks merely as blips and numbers that go up and down. Instead I must fight that logic and see each share that I own as absolute ownership in a great company. So if we are more concerned with ownership, less concerned about percentage gain or loss, then what do we need to utilize as our investing metric? Enter the concept of annual dividend income. 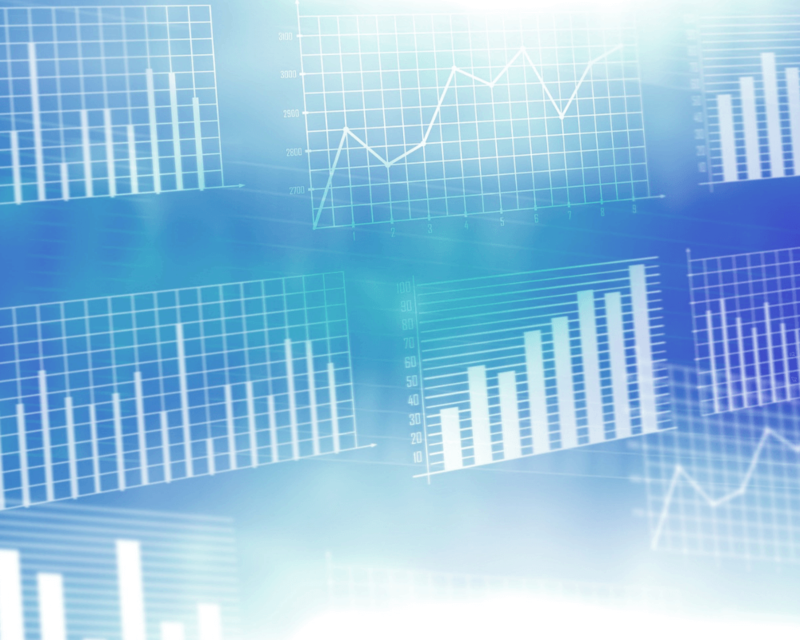 One principle that makes a dividend investment strategy ideal is that the investor has one high-level metric to gauge progress: annual dividend income (ADI). By keeping the high-level ADI metric in mind, the investor can make better guided, longer-term investment decisions. Is the stock market as a whole dropping yet annual dividend income remains the same or grows through Dividend Reinvestment Plans and dividend increases? Then all is well. With a dividend investing strategy, whether the markets drop significantly or rises exponentially becomes less important so long as the dividend remains in tact and the underlying fundamentals of the stock are in place. In fact, dividend investors welcome market downturns more than average investors because it is a chance to buy solid companies at “fire-sale” prices. With a dividend position on DRIP, investors welcome market downturns via higher share accumulation. Quick share accumulation is where the beauty of dividend investing really comes into play. By having our positions on DRIP and continually using our dividends to buy more shares, we are steadily and consistently increasing our ownership positions. Even if our efforts result in buying fractional ownership, we are still increasing our stakes. The results? More shares = more dividends. What a beautiful thing. To illustrate this, I will use a metaphor. There is a concept in dividend investing referred to as “The Snowball Effect”. When you begin to roll up snow into a snowman, you start very small, most likely with something in your hands no bigger than a tennis ball. By rolling the small snowball along the ground, it accumulates more and more snow. Every time it gets rolled, the volume increases more due to runaway growth from increased surface levels of accumulation. It eventually gets to a point where you have increased the original size of the ball one thousand fold! And voila, a snowman is born! Stocks on DRIP are much the same. While you might start out small, if you can stay the course and continue to reinvest in your positions, you will see the same runaway growth! Annualized Dividend: In this scenario, Ford pays a $0.15 dividend on a quarterly basis. Thus the annual dividend payout comes out to $0.60. # of Share Purchase: Calculated by taking the amount invested divided by the share price. Yearly payout: # of shares purchased times the amount of the annual dividend. Yield: Yearly payout dividend by initial investment amount, displayed as a percentage. Over a 10 year period, with dividends reinvested, you would nearly double your original investment, shares owned, and annual dividend income. Not bad right? 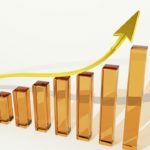 The percentage return nearly doubles and dividend income increases 5x! Keep in mind that we are certainly making a lot of assumptions here as a myriad of factors could change. The company could quit paying dividends, the stock price could spiral up or down, or the company could be bought out in an acquisition. However, if the dividend stays in tact, share accumulation through DRIP is truly astounding. Remember that annual dividend income is passive income as well and the investor has to do very little, if anything, to maintain this income. The only real job of the dividend investor is to monitor the positions in the portfolio from time-to-time and make sure no material deterioration has occurred. Implementing a dividend investing strategy is worth the time and effort it takes to learn it. The strategy is simple but definitely not easy. When done right, you can build your way to a nice, steady income stream through quarterly dividend payments. All it takes to begin is a small amount of capital, a willingness to learn, and a tenacious spirit to persevere. I want you to focus on the little victories along the way. My sincere goal is to not only teach but to inspire you on your journey to Financial Freedom through a dividend investing strategy. If you haven’t already, please sign up for our Live Free and Div Hard email list so we can deliver our newest posts straight to your inbox! As always, you can follow our progress as we build our way towards $50,000 in annual dividend income. And please check back as we will have more resources for you in the coming weeks and years ahead. Welcome to the journey my friend! 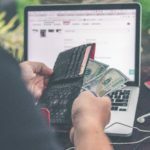 March 2018: What am I Investing In? ← What Does Prepay Mean?